See the incredible wildlife of Kenya & Uganda on this exciting overland holiday, including both the famous Masai Mara & Murchison Falls National Parks. 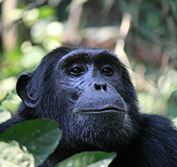 Track chimps and endangered mountain gorillas on this once-in-a-lifetime adventure, travelling in a rugged overland truck. Dome tents, camping equipment, chimp & gorilla permits & activity package included. Group size 4 to 18.